Since we joined the Blogosphere last summer, we have seen a sad number of deeply loved family members go to the Rainbow Bridge. It is always a hard time for those left behind, and the compassion and support offered by our "community" is truly touching. When we imagine the Rainbow Bridge, we think of the meadows full of flowers. Imagine if your loved one could collect a boquet of beautiful blooms and leave it at the foot of the bridge for you, a boquet that would help you through the difficulties of their passing. 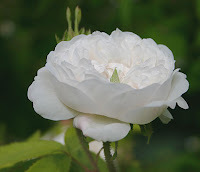 Each flower, in it's essence, touching and healing a part of the grief and loss you are suffering, and together, the carefully selected blossoms would help your heart and soul return to a place of love, balance and peace. 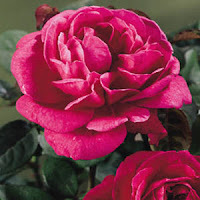 This is how we think about a special blend of flower essences called "Grief and Loss". 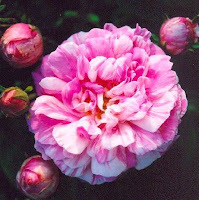 Molly Sheehan, the "gardner" at Green Hope Farm began her love affair with flowers in childhood. Through the years she has cultivated that love and, along with some divine guidance, has captured flower essences from the gardens she tends and the fields and special places she visits. The unique energetic vibration of each type of flower is caught within its essence and can interact with and seek to harmonize and balance our energies on the emotional, physical and spiritual level. Many times, there are issues that are a more complicated, interwoven set of energy patterns and experiences. While each individual may experience slightly different components of them, many aspects of the condition are common to us all, animal and human alike. Sometimes, a combination of essences can work together to restore balance in the condition in general. "Grief and Loss" is one of those combinations. A bouquet of flowers in a bottle to help you through the sad times. 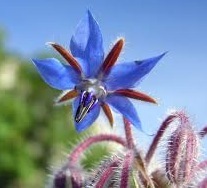 The first bloom I put in your bouquet is Hyssop. I want you to release yourself from the quilt you feel. Staying with this feeling is punishing yourself and keeping you from healing. Please know that I do not blame you for anything, I love you and always will. Put guilt aside and your healing journey can continue. 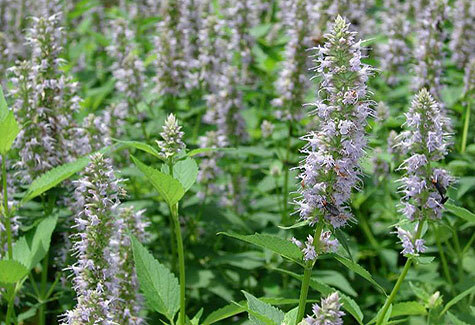 Hyssop is a simple, not showy flower, but it is important so that you can be free to use the flowers around it. Thinking of me can be bittersweet after I am gone. Another rose, the Camaieux Rose knows that while it is sometimes painful, memories of this experience are an essential part of the healing process and allows you to bring them in gently. 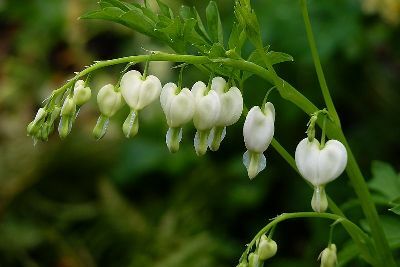 And beautiful, sweet Honeysuckle will help you to keep you from geting mired in the sadness of them, and return to the place where you can look upon them fondly and with pure love. 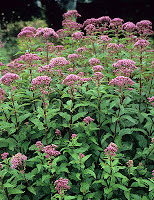 Another simple wild flower I found to put in the bunch is Joe Pye Weed. I know sometimes you are feeling burdened and alone. 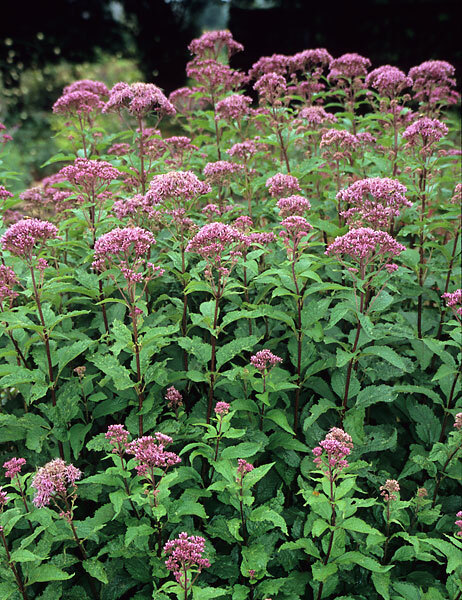 Joe Pye Weed will remind you to "let go and let God". You don't have to carry this burden alone, and you can ask for the help of the divine to help you through. 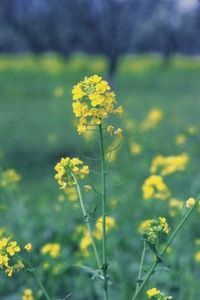 I know sometimes you will feel very sad and sometimes you stay sad too long, so just in case I put in some bright, yellow Mustard flower in to help shake you free another yellow flower of the Cucumber to give you courage to go through it. 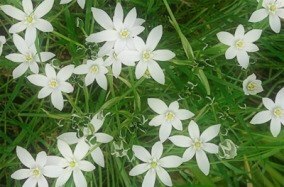 Once you start moving away from it, use the support of Star of Bethlehem to keep moving forward and not get stuck again. Green Hope Farms "Grief and Loss" is part of their Animal Wellness Collection. Animals experience much the same emotions and conditions that people do, so flower essences can help them and their humans at the same time. In fact, it is thought that any essence(s) given to an animal should be taken by their humans as well, as most conditions will reflect in each other. Please remember that flower essences are not a "cure" for anything and should never be substituted for medical or veterinary care. 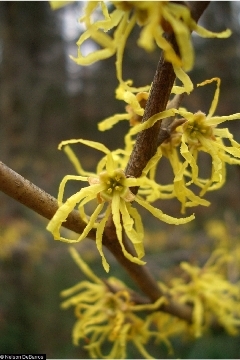 However, flower essences will not interact with any medications or treatments, and make a wonderful "helper" in wellness. We love using Green Hope Farms essences as they contain no alcohol as a preservative, and the combinations are well thought out and intuitively guided. Molly has graciously given us a gift of a bottle of "Grief and Loss" which she would love to see go to one of our readers. If you would like to be in our random drawing, please leave a comment below. If for any reason you would like to be in the drawing, but don't feel that you would like to leave a public comment, please feel free to email us at cherrycitykitties AT yahoo DOT com. We will pick a reader randomly on Saturday, February 23rd. Those flowers are just gorgeous and that is such a great idea. Well done. It's lovely to know how each flower helps - thank you for telling us. When our cat Licorice passed, we created the Licorice Memorial Garden over where we buried him. Our cat Nellie missed him terribly and we planted some of those inb the garden. It is one of her favorite places in the summer. What a coincidence! Glogirly just bought a bottle of Flower Essences to put in her water. We would like this particular essence to go to someone who really needs it, so you don't have to include us sin the giveaway. Cloon's Human: Love your post. 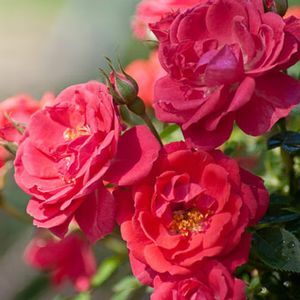 I personally use the Bach Flower Remedies and when Inka was very sick, I had someone create some of the Australian Bush Flower Essences for both her and I. This "Grief and Loss Essence" has such a place and is much needed. What a lovely post ..... MomKatt really liked that. We were blessed with the gift of a bottle of Flower Essences 'Grief and Loss' formula after the sudden loss of our Seth earlier this month. All of us tried it and love how we felt released from the built up wall of burdening sorrow. Just a drop of two rubbed into hands and smoothed gently over those kitties who felt his loss the most brought a lightening of mind and spirits. We highly recommend this. Thank you again, to our friends who shared their knowledge of Flower Essences and Green Hope Farm with us. You are more than welcome. Continued purrs to you all. Aaa beautiful flowers are more than skin deep. This is a genius idea!